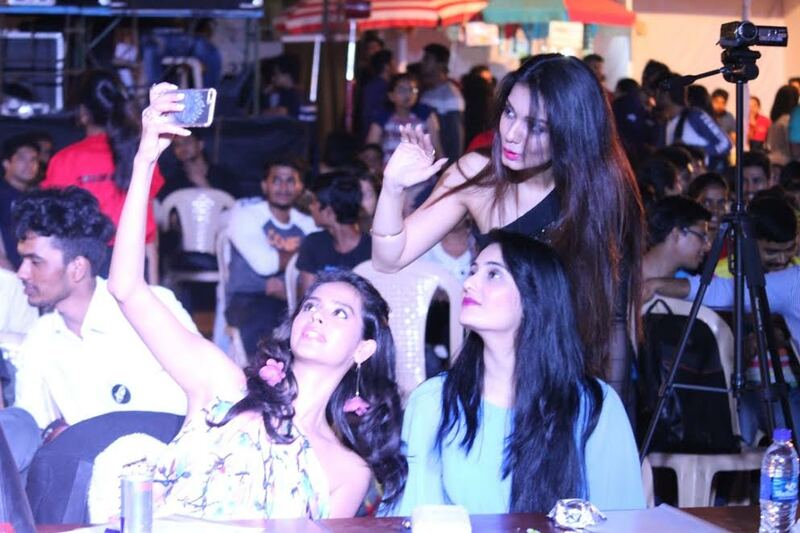 Actress Sai Lokur (who debuted in Kapil Sharma’s Kis Kis Ko Pyaar Karoon) and actress-model Madhu Sneha (Pantaloons Femina Miss Fashionista 2012 and Kingfisher Calendar finalist) were part of the jury for the eagerly awaited inter-collegiate fashion show during Spandan 2017, the fourth edition of the annual festival of Xavier Institute of Engineering, Mahim. Out of the nine finalist participating colleges, Thakur College (theme – Carnival) was declared as the winner while DY Patil College (theme – Game of Thrones) was the runner up. The best male model was Sudhir Singh (Lord’s Universal College) and the best female model was Shloka Goyal (Thakur College). Scintillating actress Sai Lokur said, “It was nice to see students donning diverse attires and avatars during the fashion show at XIE Spandan 2017. The students chose interesting themes – from Indian culture to Goa carnival to Game of Thrones to Dubai to Zodiac Signs to Death to Wild Life – to interpret fashion in novel ways. The students really made of a lot of efforts in terms of using hand-made props and accessories. The future of Indian fashion is bright if these students continue to flaunt their unique style quotient confidently with a lot of panache.” Sai Lokur won hearts of the students at Spandan 2017 with her simplicity and beauty blending modernism with traditional classicism. Madhu Sneha was the toast of Spandan 2017 as students cheered her dynamic energy, fashion sense and vivacious personality as she roped in everyone to click selfies galore! Madhu Sneha was also part of the jury for JJS-IJ Jewellers’ Choice Design Awards 2016 by The Indian Jeweller (Magazine). She had adjudged Sydenham College management institution annual fest ‘Simerations 2014’ and crowned the winners Bhola & Group from KES College & Lords Dancing Crew from Lords College. Madhu Sneha is participating in a workshop on acting being conducted by the iconic Jeff Goldberg. JG Studio works with Bill Hopkins Media in New York and Film Acting Paris (Charles Weinstein) amongst others. She is honing her skills wrt to various offers that she is getting leading Bollywood producers and directors. After debuting in Kapil Sharma’s film, Sai Lokur has been getting several roles but she is taking her own time to choose the right one from her career point of view. She is keen to portray a modern girl of substance in projects being conceived by eminent filmmakers. Multi-talented Sai Lokur has been honing her numerous skills including practicing Bharatnatyam and various dance forms.